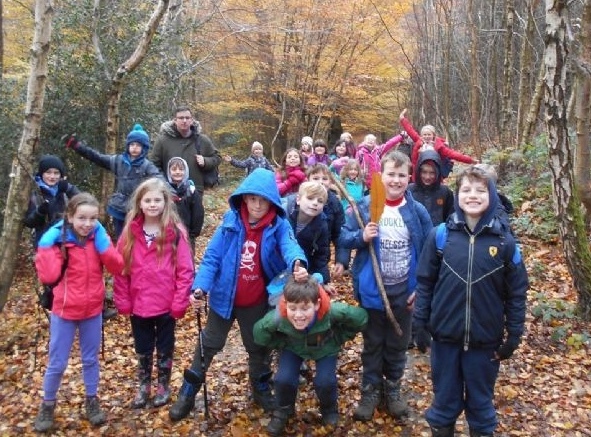 Why do Plaistow and Kirdford School do Forest School? Research has shown that Forest School has a powerful effect on children’s confidence, self-esteem and independence, as well as an increase in social interaction and physical skills. Most Forest School activities take place in the woods within a 5 or 10 minute walk from the school. On other occasions we may do a longer walk rather than activities in the woods. Early years and KS1 children have Forest Schools on a weekly basis throughout the year; sessions generally last 1 1/2 – 2 hours. 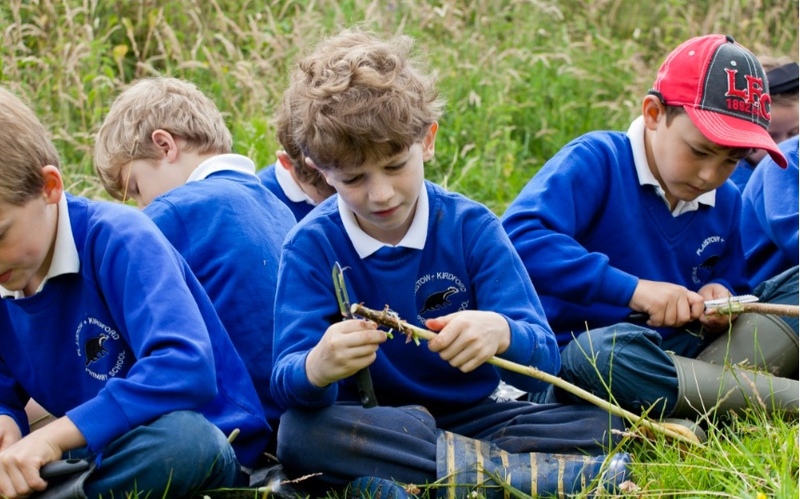 KS2 children all have 9 weeks of Forest Schools, on a Friday afternoon, 1.15pm – 3.15pm. Forest School is led by qualified Forest School Practitioners, and there is a high practitioner/adults to learner ratio. All volunteers need to have a current DBS certificate at our school in order to join in. This involves supervising the safety of children at all times, on the walk to the woods and during activities, and joining in activities as far as possible; no previous experience required ! All adults and children attending Forest School must wear suitable personal clothing which will protect them from the environment they operate within and the activities which they carry out. Children should be made aware of the importance of wearing sufficient layers of clothing, which may be added or removed as appropriate. Never bad weather, just bad clothing! The following clothing lists apply to everyone involved in Forest School sessions, and is important for both welfare and safety. A carrier bag should be included, to store wet clothing when they return from Forest School. We are responsive to the needs and interests of the learners. In most sessions we will have a teacher led activity on offer, and the children may choose to do this and/or activities using their own ideas and inspiration. Please follow this link to see an invite to a fundraising event for Circle of Life Rediscovery's 'The Woodland Project'. The initiative is a joint venture between Sussex Partnership NHS Foundation Trust's Child and Adolescent Mental Health Services Learning Disability-Family Intensive Support Service and Circle of Life Rediscovery CIC.